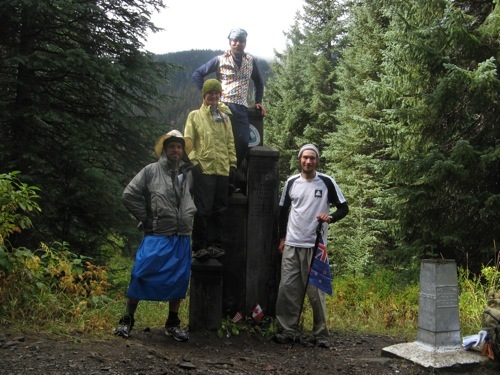 PCT2007 » Blog Archive » 2007-09-22 …and I’m done! 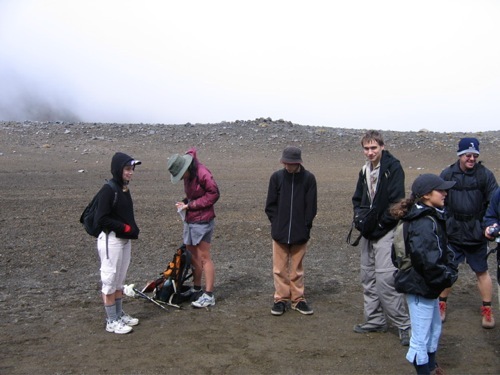 This entry was posted on Saturday, September 22nd, 2007 at 3:00 pm	and is filed under Canada, Hiking, Movie, Photo. You can follow any responses to this entry through the RSS 2.0 feed. Both comments and pings are currently closed. Congratulation Craig. Well done that boy! So we expect you back at work by Thursday do we . p.s. Congratulations from all here at Navman. It was a monumentous achievement. Way to go Craig. Congratulations. Take it easy and let those great memories bed in. Sounds like you finished just in time, weather-wise. Congratulations, see you in NZ soon. Just warning you – you won’t be able to find your desk, recognise half the people here or find half the people you used to know. Or log in. U r a crazy b*****d but we take our hats off to U for living the dream (hmmm maybe…nightmare). Congrats bro. Seems like you left only the other day. I’m curious what you said to the Germans though? Yay Craigy boy you have finally done it. The sites have been amazing. I can’t wait until you come back home. You’re my hero big brother. Amazing!!! Well done that man! See you soon Craigus! Fantastic. Cheers went up here when we heard you had crossed into Canada and reached Manning Park. The weather and temperatures were evidently deteriorating. Pleased to know you are safe, well and warming up! Congrats Craig,with that huge achievement behind you I would assume that your outlook on life will never be the same.Good luck on your future endeavours. congrats sunwalker!! i know how you feel!! so, do you know of any other lead weights that made it to canada? Congrats! Enjoy the achievement… Odd feeling to finish though, eh? Good luck with re-entry. Congratulations!! We were glad to have met you along the way. Our best to you. 11 March 2006. Red Crater of Mt Tongariro. Nope, as far as I know I am the only fool to carry a lead weight to Canada. let me know if anyone contacts you to correct that statement. We are so pleased to see you successfully complete such a challenging task. Your postings and photos have allowed us to be part of your experience. We admire your courage and fortitude in facing all the tests it has thrown at you. I guess that with the winter conditions kicking in over the last few days you were pleased that you reached the end prior to the kick in of the big snows and bad weather. Enjoy the return into the real world. I hope it measures up! Hey Craig! I know I am late to the party, but congrats on this epic achievement. I had thought my measly 50 miler was grand, but this is wonderful to hear that you pushed through all the ups and downs (both lit and fig) to finally reach Canada. Another PCT hiker made the local newspaper, he finished the day before you. i read some of your journal. 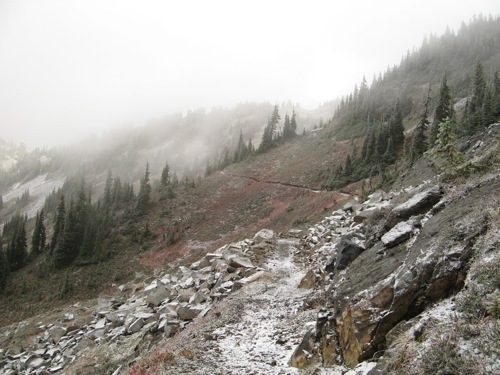 the best comment i got at manning park was similar to yours: a man asked if i’d been hiking. hope your transition back to work/life went well. i enjoyed meeting you and your father too. Wow!!!! What an amazing experience for you & your friends. I’m sorry I didn’t know you were planning this. I would have loved to have followed your exploits. My late congrats go out to you all. Thanks so much for sharing this trip with us as you have. I’ve been finding what you did so amazing as I continue to go through your log. Thanks again,mate!!!! Good to hear from you. 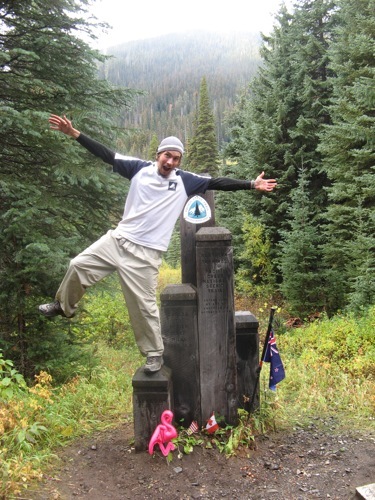 Congratulations on your finish of the PCT and how cool it must have been to walk across Japan! It was great to meet you and your father on the trail. I hope your adventures continue on!